Mix of easy and moderate terrain on way to historic log cabin. After following easy roads across open desert, you’ll quickly arrive at historic Swasey Cabin. We recommend you take some time here as well as hike to The Ice Box, just a little farther down the road. After that, a fun road descends into winding and scenic Eagle Canyon. You’ll see Eagle Canyon Arch before passing under dramatic high bridges of I-70. Take side trip to rock art by heading north at Wpt. 03. 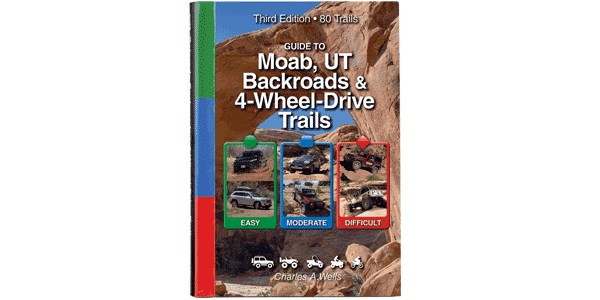 A great trail for ATVs and UTVs with many interesting side roads to explore. Narrow and rocky in places with one challenging steep spot on the north side of the freeway. Stock SUVs should have high clearance and skid plates. Lockers also beneficial.